Sydney Shop Girl: The First Day Of Autumn. It's the first day of autumn but in true Australian style, we're all holding on to summer for dear life and not letting it go without a fight. The maximum temperatures across the country look to be universally scorching for today. 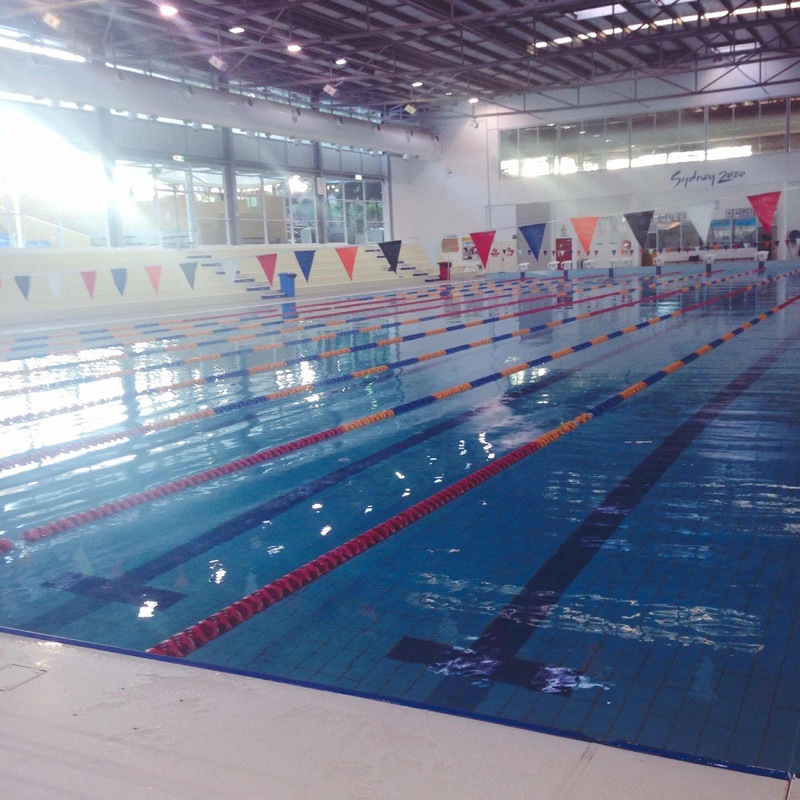 All the better for hitting the beach or pool for some autumn laps. And for possibly one last drive home for the season wearing nothing but wet bathers as you sit on your towel that's slightly damp from that swim and feel the sun on your bare arms through the sun roof. Autumn means many things to me, it's a change of season but also the time I seem to traditionally do things. They all get documented in the blog each year but somehow they never get old to me. But I'm not sure you feel the same way. Never mind. It suddenly feels right to start paying attention to the Easter foods that have been on the shelves since New Years at the supermarket. 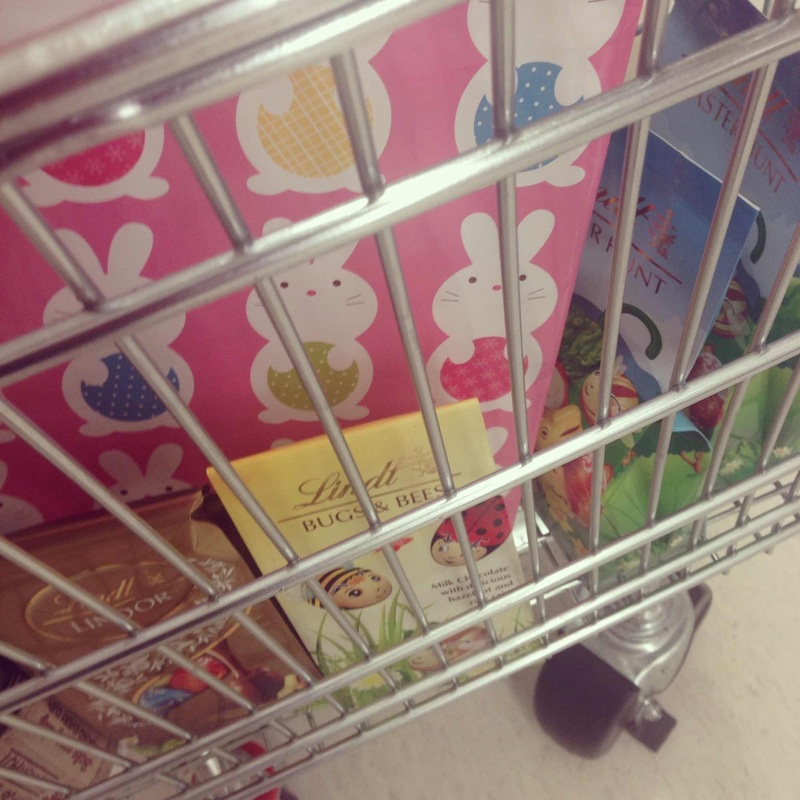 I've stocked up on some Lindt goodies that Toddler SSG and I will be giving his educators and support staff at daycare. To give them strength in the last frantic week before the Easter long weekend. Part of pre winter wanderlust - blinging out my filing cabinet. Because that's what filing cabinets are for. Sticking paper to rather than filing paper in. 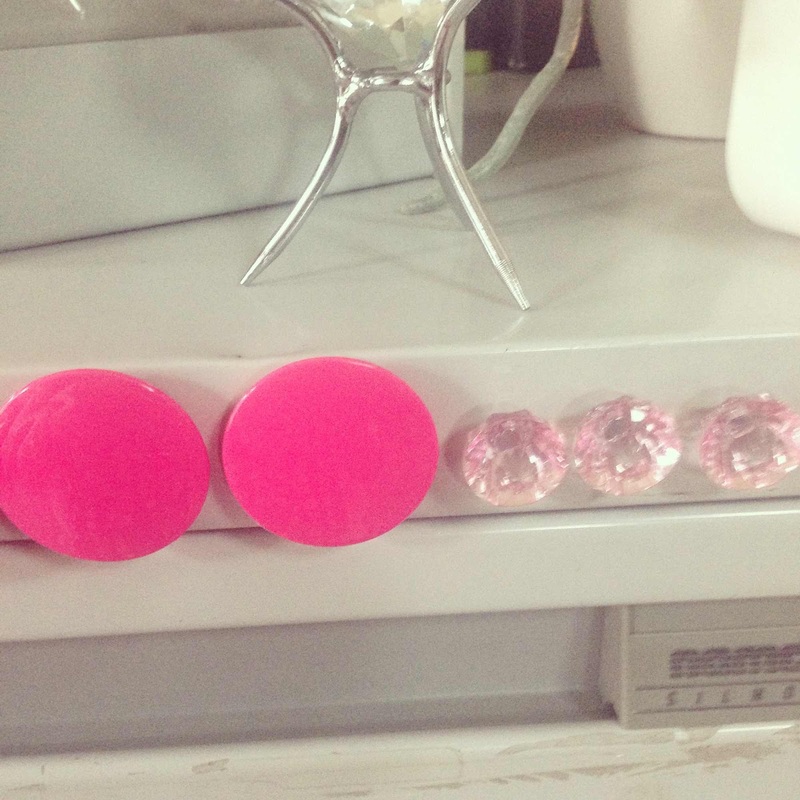 Magnets from Daiso. the reading of travelogues begins, the date checking, the currency watch, the programme browsing (in no particular order). And then there's the actual planning and paperwork. It's still a work in progress and when it's all been confirmed, I will breathe a huge sigh of relief and anticipation. And let you know where I'll be. Mornings in autumn are that transition between padding around barefoot and then having to get about in socks and ugg boots. 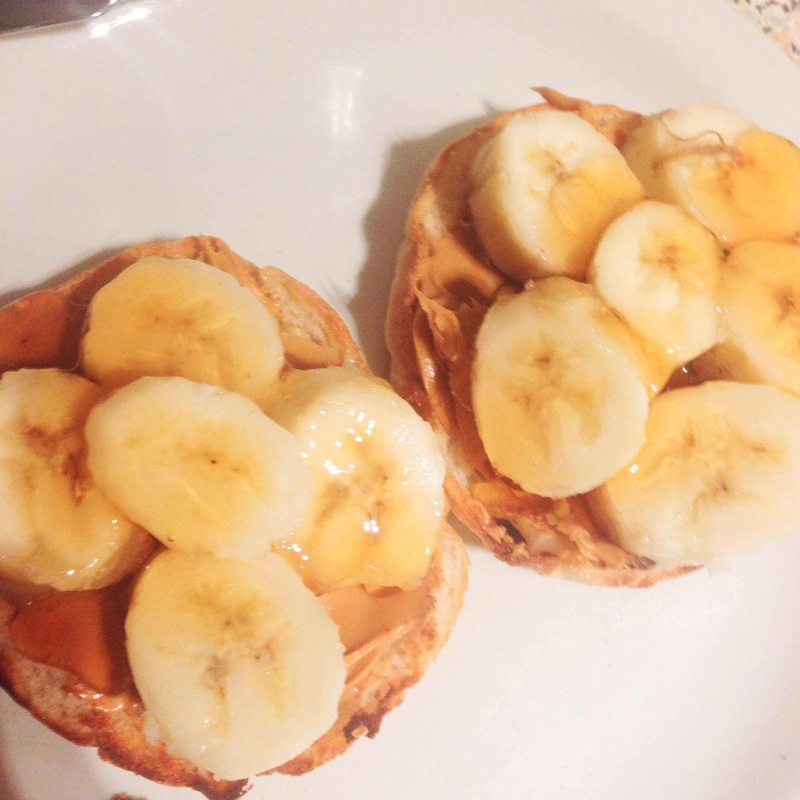 My breakfast equivalent of this change to the cooler weather is to make the switch from breakfast citrus and berries to a breakfast banana. Preferably with honey and peanut butter on top of something like a white toasted breakfast muffin. 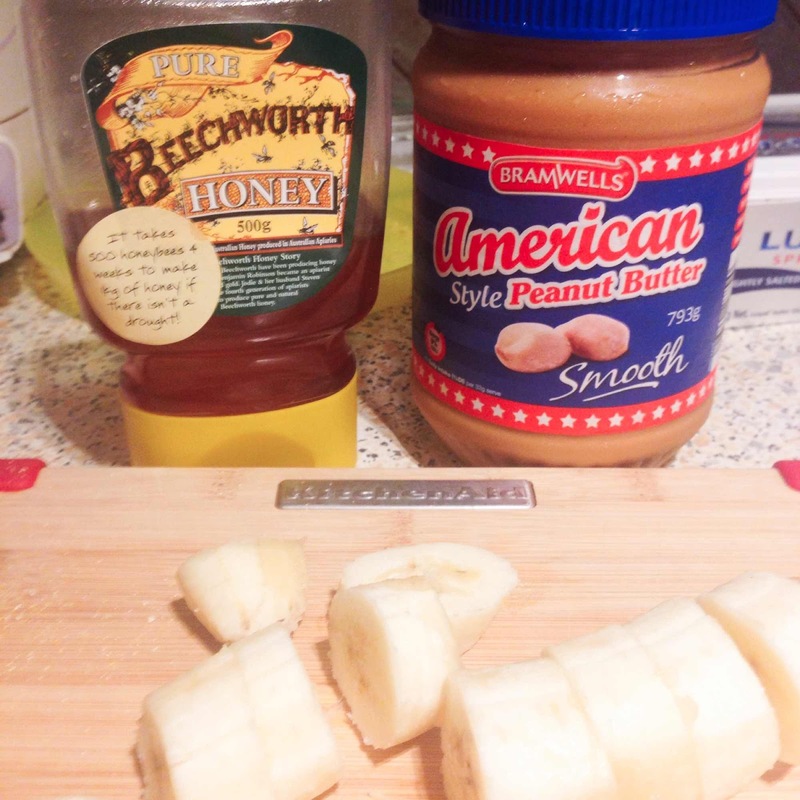 I'm really loving Aldi's American Style Smooth Peanut Butter at the moment. I'm not sure what makes it 'American Style' but I love the taste and the fact that it's not too oily. It's a regular item and retails for under $5 per jar. Some people make jam or preserve their summer fruit in other ways with the change of season but I prefer baking mine. Into (surprise, surprise).... muffins. I used my trust Donna Hay recipe and I have to admit that fresh berries really are best. Aside from all the Hepatitis A infection risk that's been going on recently. 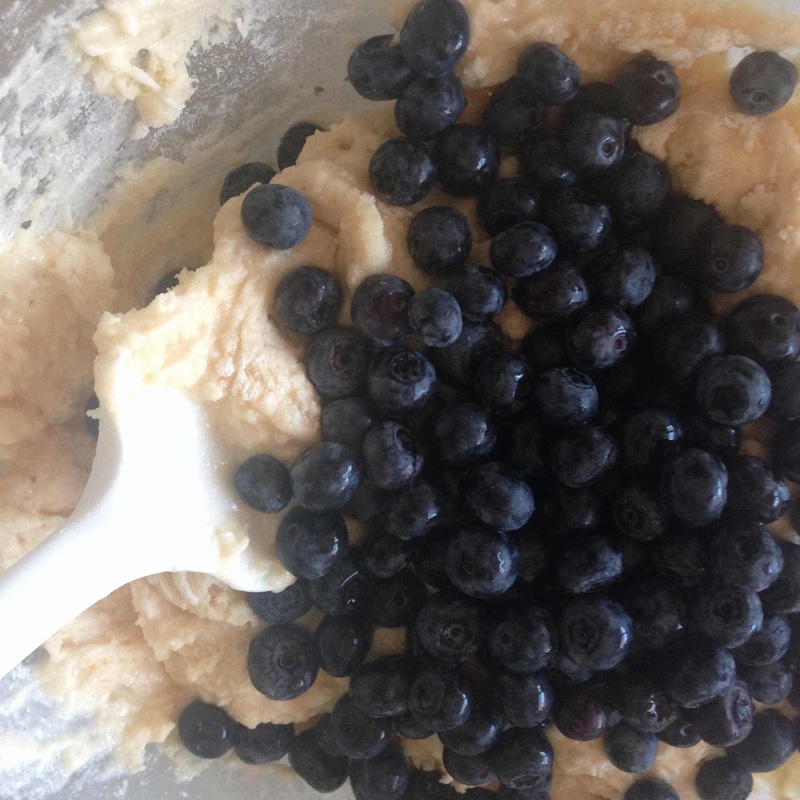 The fresh berries don't bleed into or break up in the batter as you stir them in. And when they're baked, the fresh berries don't discolour the batter into a visually unappealing blue grey mess. Instead, the baked muffin is a perfect mix of golden white muffin surrouding pools of deep purple blue. 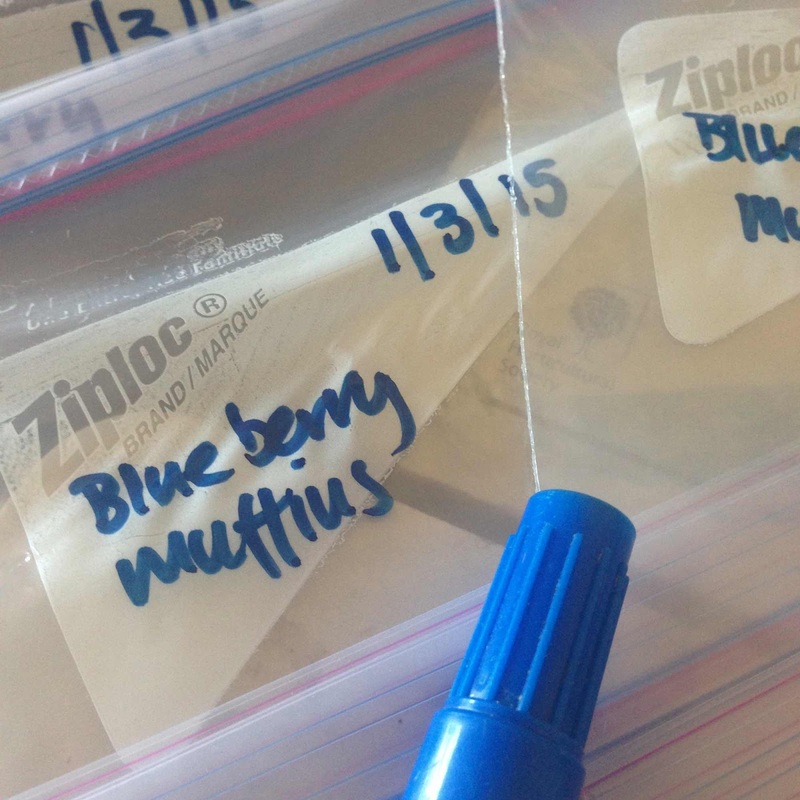 Colour co-ordinated freezer bag labelling. Donna would approve. And we're good to go. 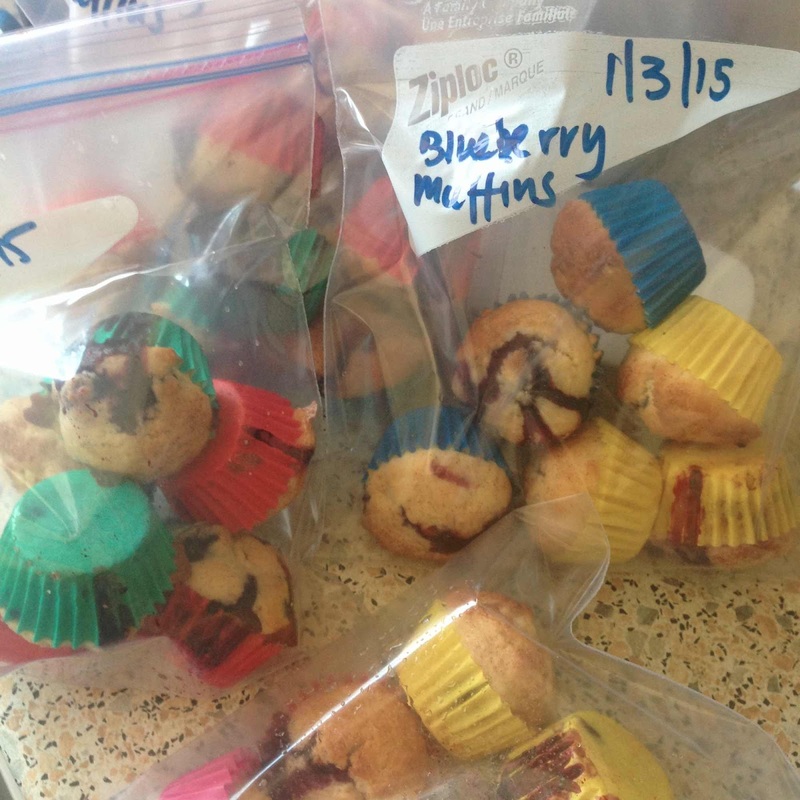 A half dozen bags of muffins to add to the muffin drawer of the freezer. Just in time for the week's first game of muffin bingo tomorrow morning. 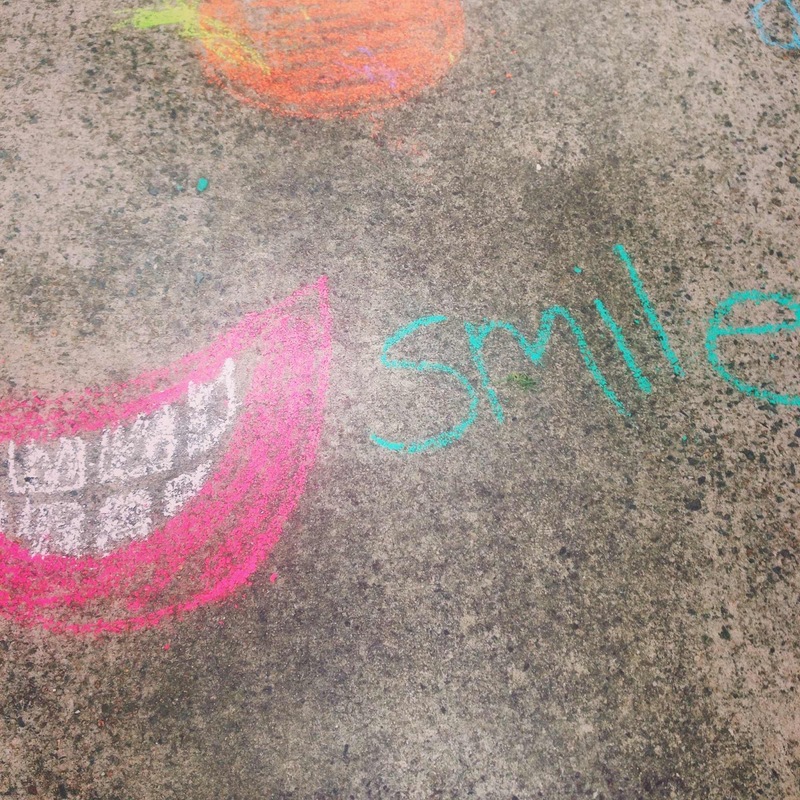 It's part of Toddler SSG's morning routine to greet me with a giggle and a grin as he makes his way to the freezer. He then asks (usually politely) for the freezer to be opened before he selects a bag from which the morning's muffins will be selected and microwaved for breakfast. He's always happy with his choice and believe me, it's a more time efficient routine than when I tried to pre heat muffins without his input. Remember the cracker and crisp bread survey? Well, I took the results with me to Aldi and bought their equivalent of Cruskits home for Toddler SSG. As you can see, they're a hit. 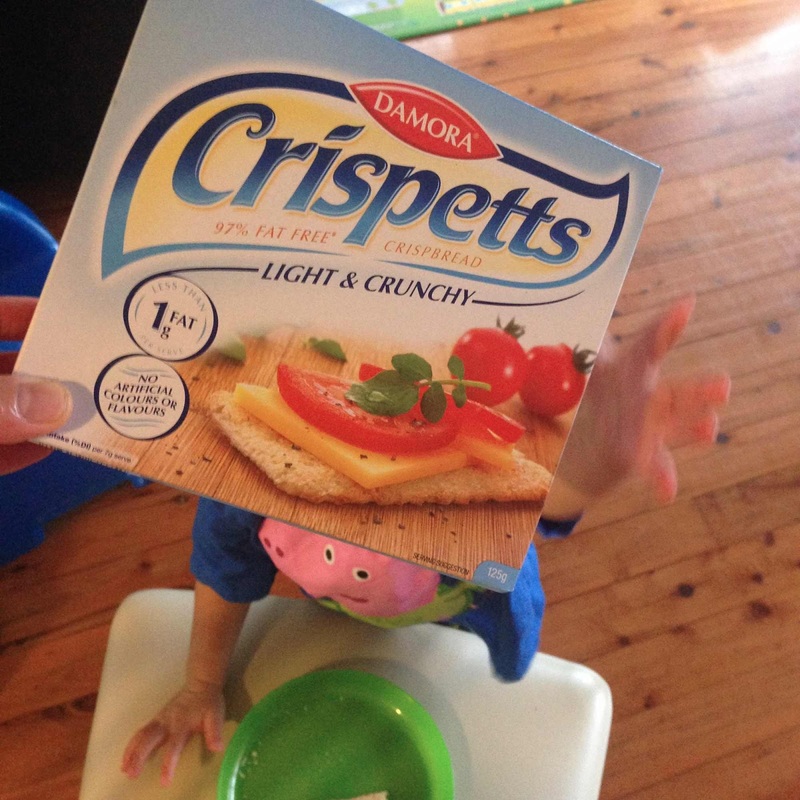 The curious thing about crisp bread is how toddlers seem to love licking things off them before getting to the cracker itself. So the tip for young players is to allow plenty of time for a crisp bread meal and to also make sure that you have plenty of spread on hand. While we've been able to move on from biscuits at home, it's still biscuits please for when we're on the road. I had to do an urgent restock of the travelling biscuit tin outside the supermarket today. 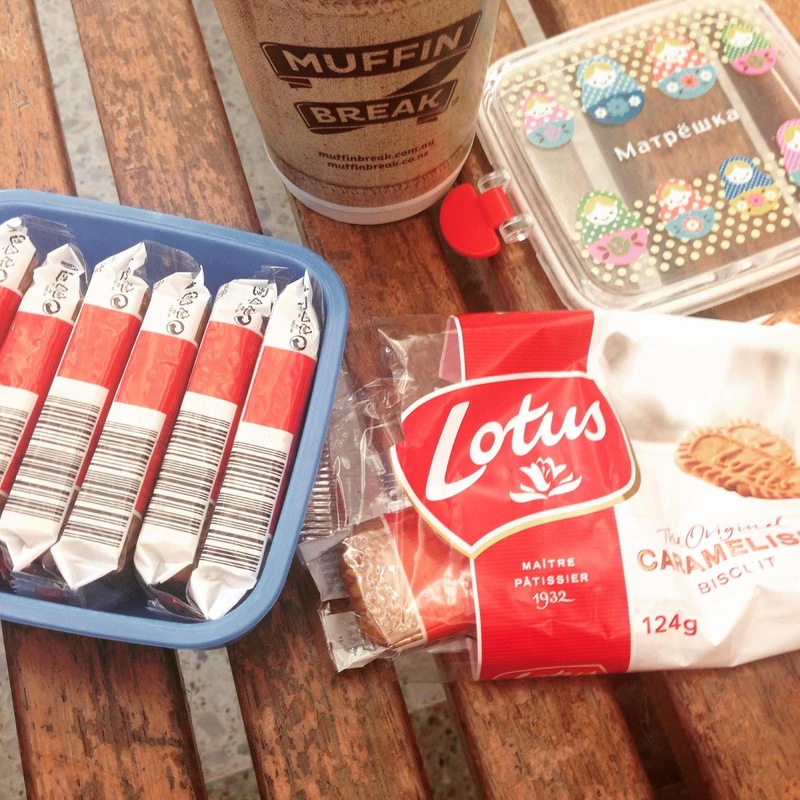 Toddler SSG loves these Lotus biscuits. They have a caramel like taste and the bonus for me is that you can buy them packaged in pairs. Which works out to be one per hand with no arguments about wanting 'more'. Which for toddlers is a case of wanting because they can rather than because of need or hunger. 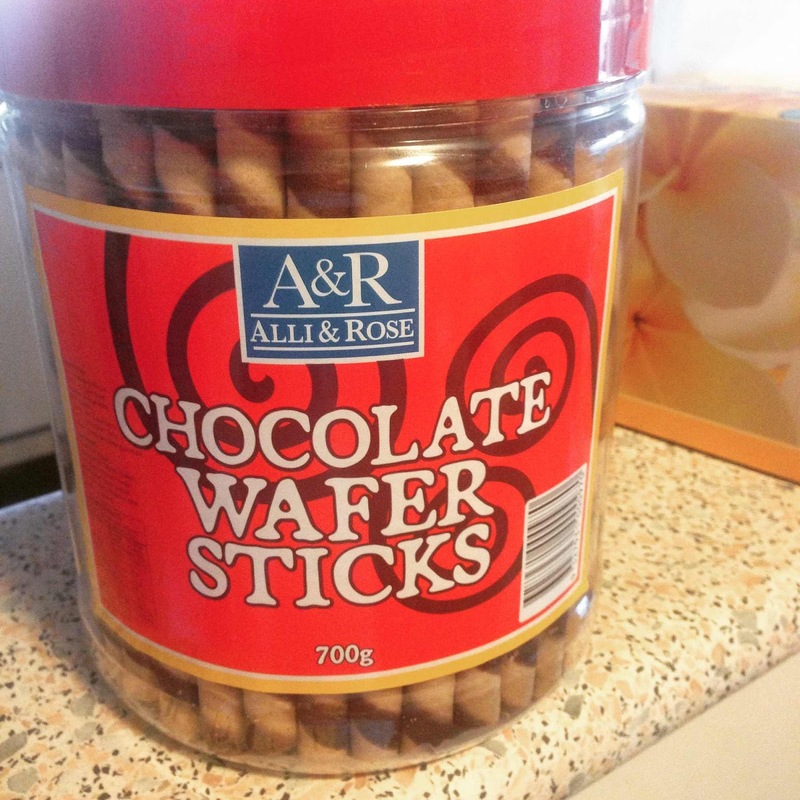 I'm having to come up with some increasingly complicated manoeuvres to keep the same two biscuit rule with this barrel of chocolate wafer sticks. Do you remember these from when you were a child? I've always preferred eating them on their own. I know people love them with ice cream but it just wasn't my thing. And that's about it from me on this first day of autumn. I'll be getting to the annual wardrobe changeover in the coming weeks as the weather cools down. Which is going to be interesting because I'm in denial about what may or may not be major fashion news for the coming season. Can you help? What are you planning to embrace this season? The latest trends or favourites you've picked up over the years? I'm leaning towards the latter, to be honest. From what I am seeing about the shops, the big colours are plum, khaki green and navy - more muted tones. Leopard print is everywhere too. I was just at a big shopping mall this morning, so speak from knowledge. I'm surprised the 'something in hand when eating' has hit baby T already....he's been a bit funny with his food lately, seems he will only eat if he's holding onto something he can gnaw, preferably in both hands! Independent little man.